When it came to the so-called ‘mom jean’ making a come back after being spotted on front row fixtures and some of the biggest street style mavens, many dismissed the very notion of baggy, unflattering (their words, not mine) denim really making a lasting impact on the fashion scene. 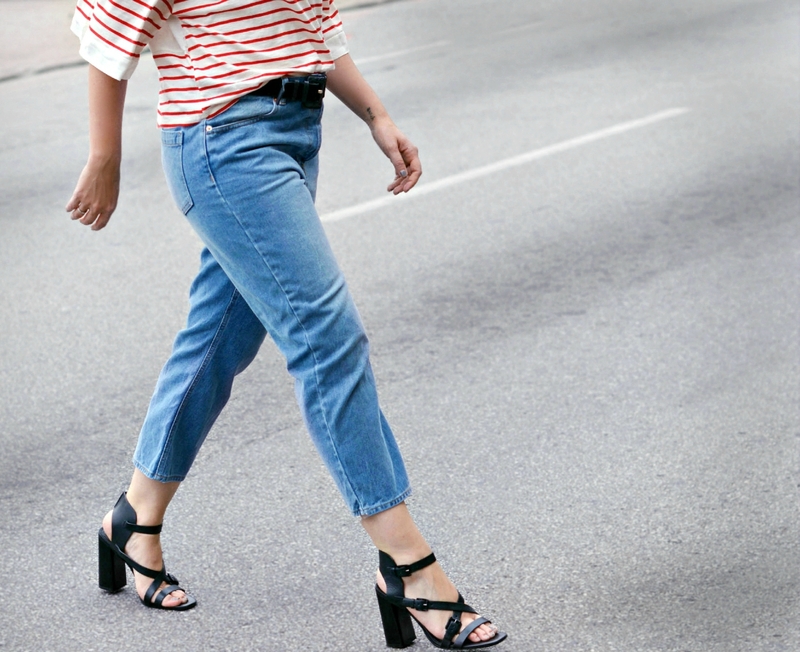 However, other trend enthusiasts, like myself, have been secretly clamoring for change, and an opportunity to add something fresh to the denim corner of our closet. Love loose fitted jeans! You look gorgeous, Miranda! Killer heels!!! There’s nothing wrong with comfort! 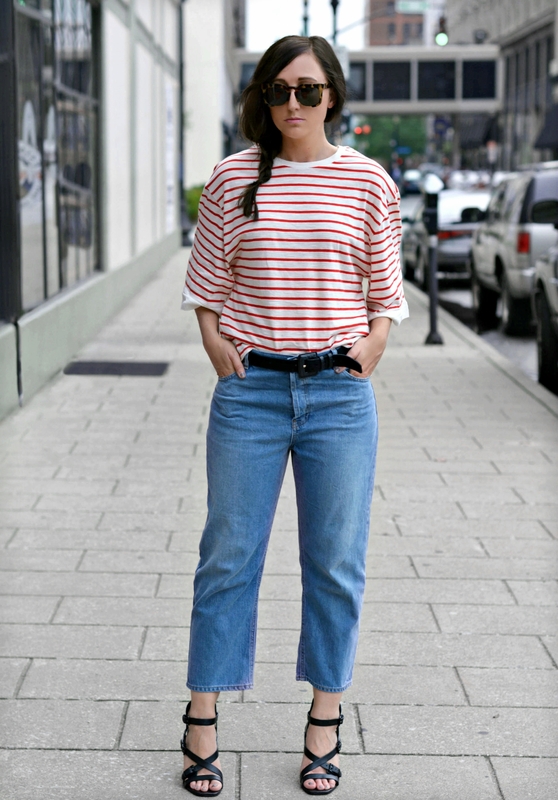 I like the in-between look of boyfriend jeans as well. I really have to get on this and find a chic pair. 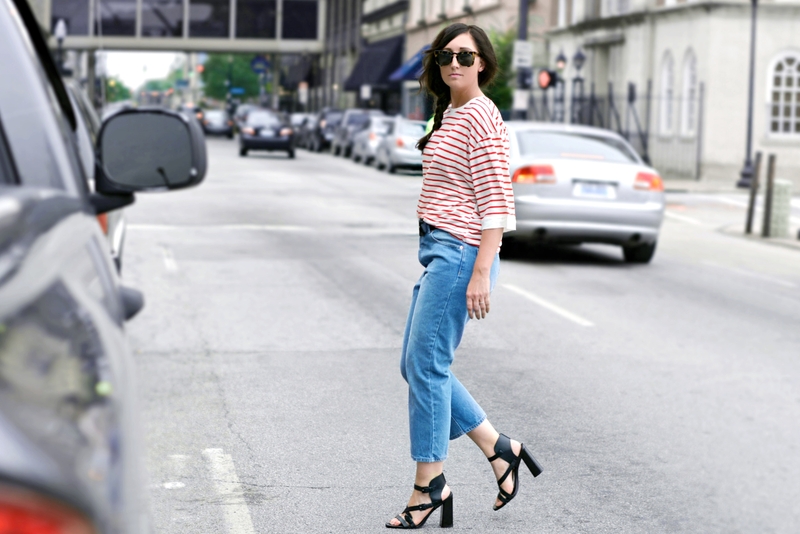 Your heels and the bright tee definitely elevated this look! Yes, I like min with heels for sure… but I am sure some great loafers would be a good match as well! The jeans look great, but the shoes are just awesome! Thanks for sharing. Super cool outfit! 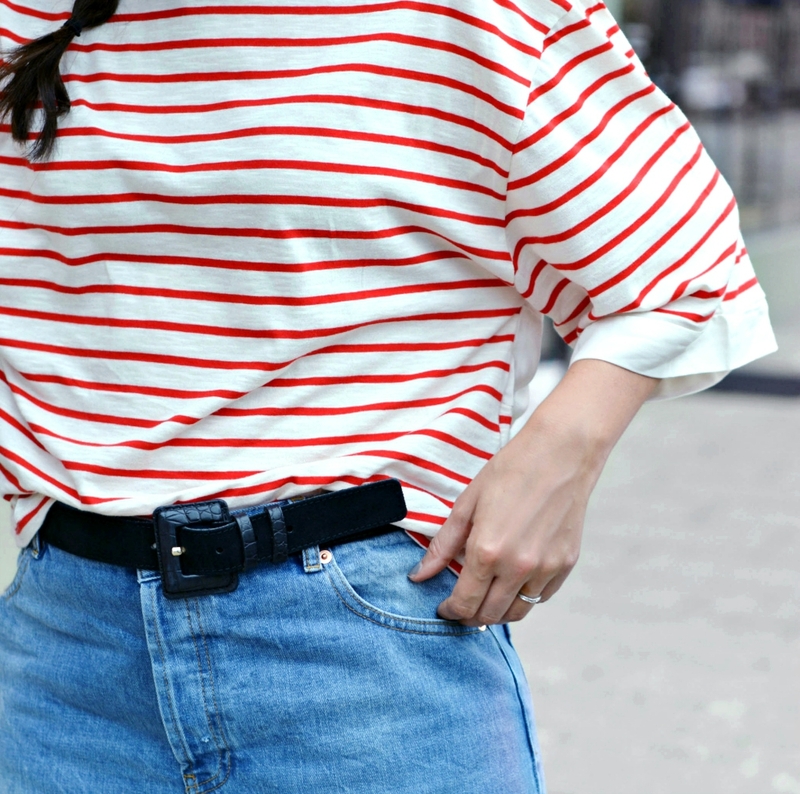 love how effortless chic it is! This oufit is so cool!! I’m still in the skinny territory but you totally have inspired me to try to get some mom jeans!!! I still love my skinny jeans though! Now this is a cool look which reminds of a 90′ fashion!!! Great! I bought a new, soft pair of mom-ish jeans which I absolutely adore. I was reminded men don’t feel the same when I heard someone mentioned a saggy backside. Oh well – I’ll keep wearing them!